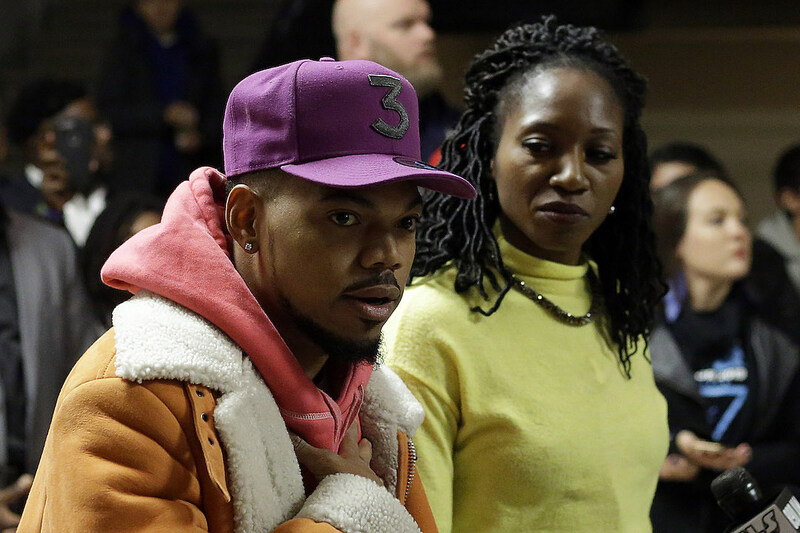 After vocally endorsing Chicago mayoral candidate Amara Enyia back in October, Chance The Rapper is now putting his money where his mouth is. The Chicago Sun-Times reported on Wednesday (Jan. 16) that Chano donated $400,000 to Enyia’s campaign. In the past, the Chi-City rhymer has hosted fundraisers for her, but this is the first time he personally donated to her run for office. Enyia rep Camonghne Felix said the money will go to keep the momentum going and help them galvanized people to get engaged in the political process. Last October, during a rally at City Hall, the “My Own Thing” rapper explained why he’s backing Enyia. Chance isn’t the only rapper donating to Enyia’s mayor campaign. Fellow Chicagoan Kanye West donated $200,000 to her cause. Ye donated $73,540 to Enyia so she could pay off fines for not properly filing quarterly campaign finance reports during her 2015 mayoral campaign. Then Kanye donated another $126,460 to her campaign. It’s always good to see rappers get involved in politics and help build their communities with leaders who care about the people. Watch Chance The Rapper show his support for Chicago mayoral candidate Amara Enyia below.